What was the “miracle” that allowed National to romp home in the election and does that imply that the result was down to divine intervention? A rigged election as you see US is rife with rigged election results through induced electronic programs that alter the results when the registered results are electronically downloaded as they were here, so a manual recount with be justified to show this happened here. If we had a robust independent media I would agree but I get the horrible impression that money and contacts mean National own this country’s media. This is what made Guyon Espiners interview of Key pre-election over Dirty Politics such a memorable standout because we just didn’t ever get that sort of inquisition. I mean the last 6 years of almost non-existent questioning of Key and his continual “brain fades” or for example the overwhelming fact National have failed to run a single genuine surplus since they came to power should have qualified them for a drubbing in the MSM but there was and has been nothing. If this new line from the MSM continues then just maybe the corner has been turned. It is highly contested that I played golf with President Obama in Hawaii in January 2014. Although it is true that Obama firmly believed at the time that he was playing golf with John Key, Prime Minister of NZ, on that occasion. But he is wrong. I was not acting in my capacity as Prime Minister of NZ during that event. In fact I have not been acting in my capacity as Prime Minister at all this year, especially not during the election campaign. Actually, for all of this year I have been merely acting as a potentially electable person who happened to accidentally get elected. 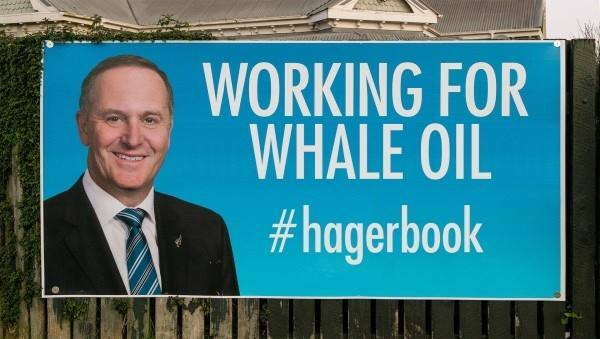 It therefore follows that the statement that John Key is the current Prime Minister of NZ is contestable, just as it is highly contestable that Judith Collins is the real Prime Minister of NZ. Speaking of witch, it is clearish that the pogglewister did not have anything at all to do with the untimely denial by the hod of the department of feezlegredger, and all of that is just scurrilous predesolitzer as well. So cwould you plwase all goe and franipetuch with my chief of hosslewerter? I have better things to do than to respond to your gobbledegook. Then you have the “Dreamers” they want to better themselves i.e bigger house, car, tv. lips etc etc ……. The only way they can get them is to subscribe to the Dream of Neoclassical economics (which has proved to make the top 20% very rich and the other 80% either poor or treading water so fast it makes there head spin) is to sell the DREAM. So what to do………..? ?……… The short answer……. The 20% of greedy people will always be greedy. The Dreamers (about 30%) follow the glossy fashion mags ideas. That leaves around 50% of people to stand up for Fair Play, Fair Pay, Look after the Environment (Tourism is a massive earner) tourists don’t want to see Fracking Rigs, rivers you can’t swim in, factory farming etc etc and nor do most of us. If you don’t care say so…… If you do care …..RAISE HELL AND STOP IT ……. while you can……….!! A stooge of USA – and is he also being blackmailed by Slater, as some journalists are now hinting? There must be SOME explanation for Key’s continuing contact with him, when cutting him off would make much more sense. Key has also secretly attended the controversial Bilderberg Group meetings. He was as representing NZ as Prime minister using our Tax money, and this Black Ops’ group are one of the most powerful of all the Five groups running the globe today. There should be an investigative Journalist on the job here as to why Key with held this meeting he attended. http://youtu.be/Cora2zzVl3o Corporate hit man. The Greedy are having such a big party they will be leaving the rest of us the ash tray, mess and stale air to clean up. How could any sane voter not see through Key and English? Key is more slippery than a slimy eel, and that’s probably an insult to eels, and English lost all credibility down in the south of the country many years ago. That’s why he’s now a listMP. And Key is also a bully with his corrupt power behind the facade. Is that why Little is also a list MP for losing his credibility with Palmerston North? @ Blue … You got that one wrong. Andrew Little stood for the seat of New Plymouth, which Natsy Jonathan Young won. I think there will be pressure on the media to play his dishonesty down, just like other groups have been silenced if their comments don`t fit into what Jk wants the public to believe. His PR company will be working hard to cover it all up. Two editorials, a piece by John Armstrong no less, another by Dita de Boni, and more all in the NZ Herald this week have all been critical of John Key and his office. This has been a massive turn around in media coverage of these issues in what I have previously criticised as being a biased mouthpiece of the right. Does this mean that critical insight has finally been awoken among the mainstream media? That’s tougher to judge. The level of contradiction of facts, misstatements and outright lies have just risen this week to a point where they are unable to be ignored. Whether that will continue is another matter. Could it be that they are ashamed of the dreadful job they did pre-election, and are rushing to make up for it -before another brave whistleblower beats them to the punch and shows up their laziness & immaturity again? Now that National is back in power for another three years, it is safe to let the journos off the leash for a while. They smell blood and cannot be restrained. Nicky Hagar, Please update “The hollow men please, and include Key? And for PC please include hollow wormen as well, aka Judith Collins and her ilk? Can you make Hollow Men edition volume # 2 updated now please, with John Key as centre point character with his club? Just a quick correction Frank. 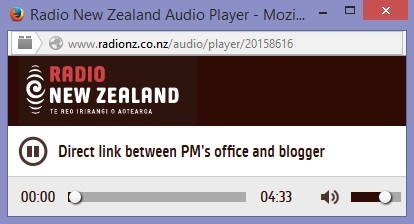 That astonishing RNZ interview of John Key was by Mary Wilson on Checkpoint. I don’t think Key will agree to an interview with her again. Suzie Fergusson has neither the inclination nor the ability to do an interview like that with John Key. Suzie specialises in asking patsy questions to anyone on the right, and aggressively pursues inane attempts to score some irrelevant points when interviewing anyone on the left. I’ll made the correction now. You hear it too Karen! Wee “Arse-on-the-air” smoozing with Key and “Oosie” getting hot ‘n bothered with Little on a recent “Morning Retort”. Seems like the radio frequency may have to be changed for the first time in 30+ years. It’s just too nauseating at that time of the morning. 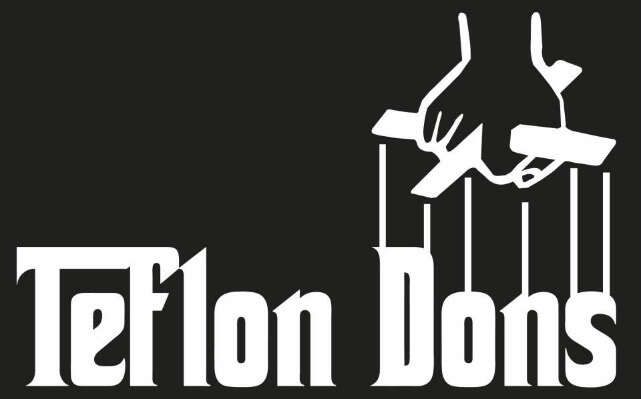 I did listen to the Mary Wilson interview on RNZ and also saw that of John Campbell on TV3, drawing out the filthy deception from Key, ever prepared to protect his position, regardless of the consequences of his lies! Both interviews class journalism, which unfortunately is a bit thin on the ground these days in NZ! 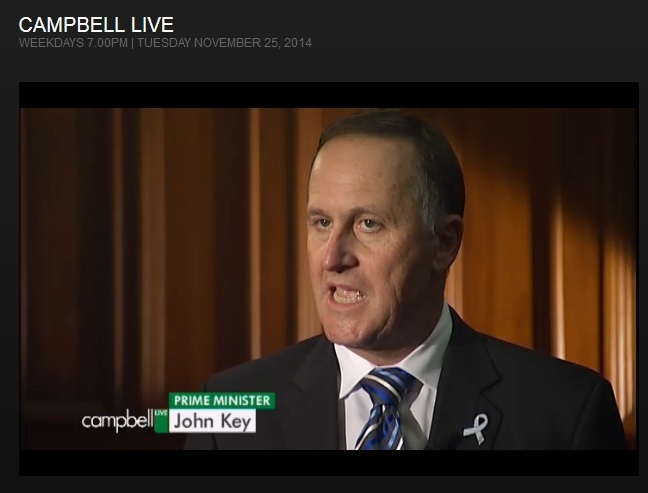 Key is a lying toe rag lacking scruples and moral fibre, as these two interviews testify. It seems every day now for the past week Key changes his story on this issue, which is a sure indication he is fabricating the truth. Liars need to have good memories, something Key doesn’t have as he seems to tell us regularly! The PM’s continued relationship with Cameron Slater, (who incidentally has Key’s new mobile phone number … WTF), is giving the distinct impression he intends to continue inflicting damage on those who oppose or challenge him! We have to keep this topic alive in order to rid NZ of this corrupt PM, as must the three opposition political parties. To not do so is condoning the slime and sleaze of Key, which is infecting this country, like a pulsating festering lesion! I’m near completion of a blogpost where I’ve been able to tie together certain strands. Hint: it’s not looking too good for Dear Leader – and the media and Labour are the least of Key’s worries. The old saying, “Sup with the devil” has new meaning with what I’ve been able to put together. Looking forward to it, Frank. Good one. I’m salivating at the thought Frank 🙂 Can’t wait for your next blogpost to be published. National voters continue to say all this is ‘sour grapes’. But it has to come out, it never did before the election. My trust in human nature hopes that many National voters will be appalled at how our democracy has been Americanised as part of National’s policy – some won’t but NZers by in large want fairness. The public needs to be informed so that we can reclaim democracy and then get on with topics that really matter … such as building resilient local communities to help face the many uncertainties of the future. I hope you’re right about the, “scandals, gaffes, lies, and other political shenanigans” that we can look forward too over the coming months Frank. Looking forward to your next piece. Armstrong and co. are being critical now – not very critical, not as critical as they were of Cunliffe for forgetting an innocuous 11-year-old form letter, or for expressing his discomfort as a man addressing an audience of women who have been hurt by men and/or seen their children hurt by men. And quite soon they will stop. And quite soon after that they will be praising Key for remaining ‘popular’ and for being a ‘brilliant operator’ who has survived the ‘Dirty Politics row’. Fran O’Sullivan will offer up gushing inanities such as Key being back at “the top of his game”. The NZ Herald is mostly a retirement home for demented old neoliberals. Normal transmission will resume shortly, National own the media, will not fall over, they will have to be prised out. Really, should John Key be wearing a white ribbon when he indulged in political point scoring at the expense of the White Ribbon cause – which is men standing up and saying no to violence against women – after Labour leader David Cunliffe’s so called “apology for being a man”. What Cunliffe did is exactly what White Ribbon is all about. When the teflon is stripped away… we find kevlar. This has been shown to be so more times now than I want to remember for “our” so-called PM. I heard the Wilson interview at the time and thought it was good that she persisted in asking the questions she wanted answers to and didn’t let Key answer some other questions that he’d come up with. He is so used to being on radio programmes like the Farming Show where the only difficulty is how high up whoever is. Who are the duty ministers over the end of year break? And who’s running the back room stuff while the wee fellow is otherwise engaged? What will come wafting out of the sewer ‘just in time for Christmas’ while we are otherwise engaged watching – well? Has it all been scripted? Will we be so busy with our glee that we miss the gorilla in the room? There’s always an alphabet of backup plans with the Nats. And this could be a diversion. You’re back door plan ! Dirty deeds, Dirty deeds , Done dirt cheap!! !